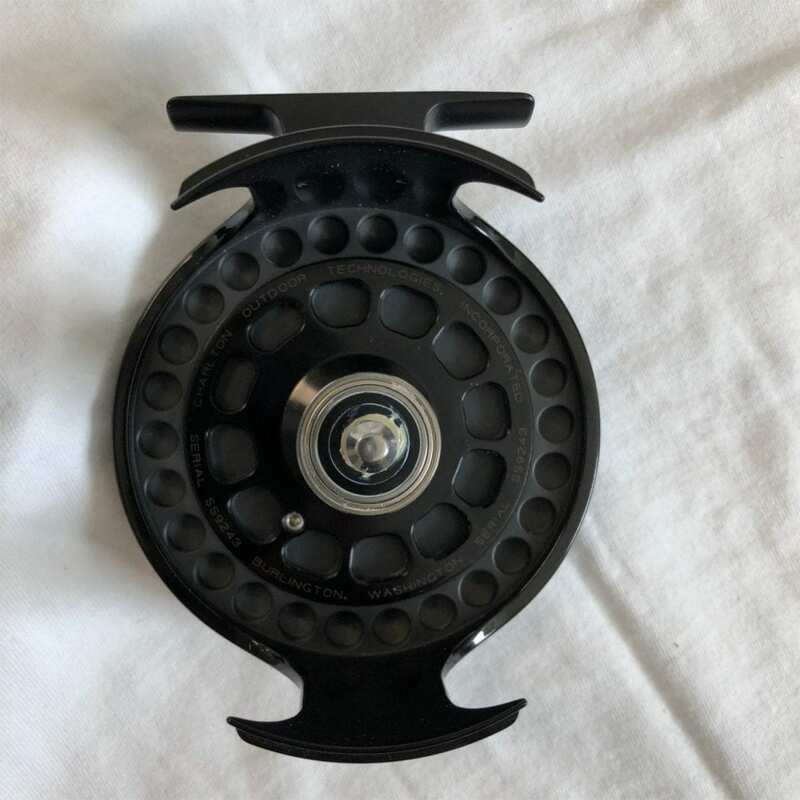 Description: The 8500 .8 and 1.2 were popular reels, though the former was made in quantities much larger than the latter. 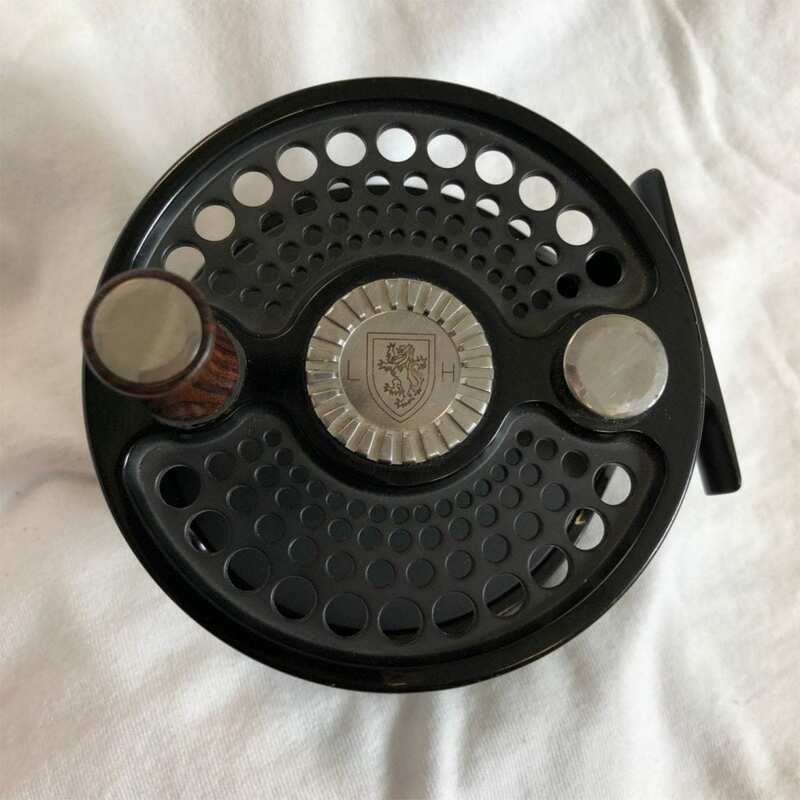 The 1.6 was the scarce cousin of these two reels, and was made in truly low numbers. 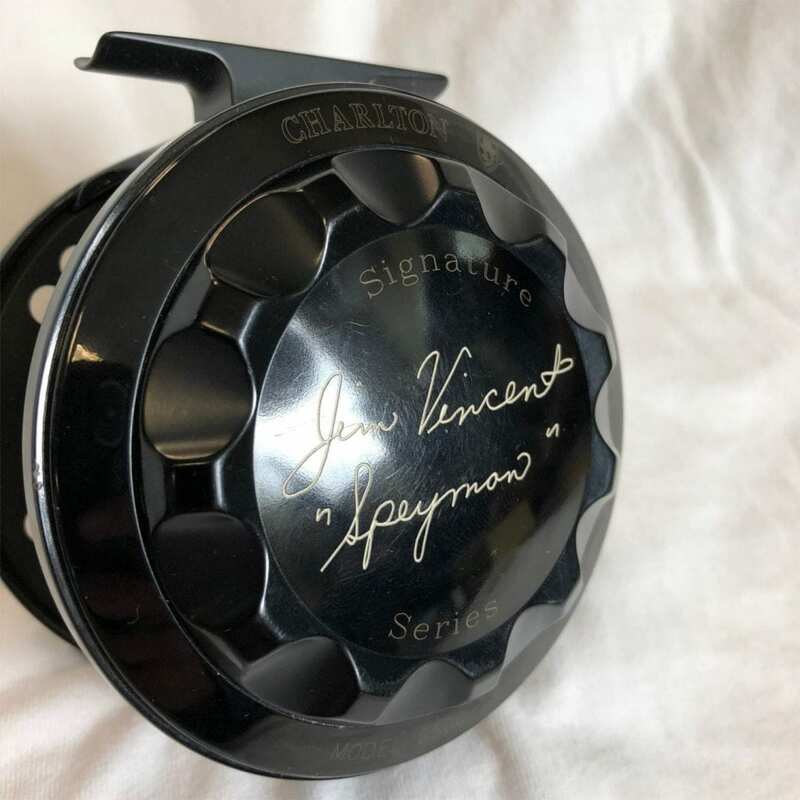 Mostly used by Spey fishermen for its capacity, this reel was owned and used by the man that developed nearly all early Spey lines—Jim Vincent. 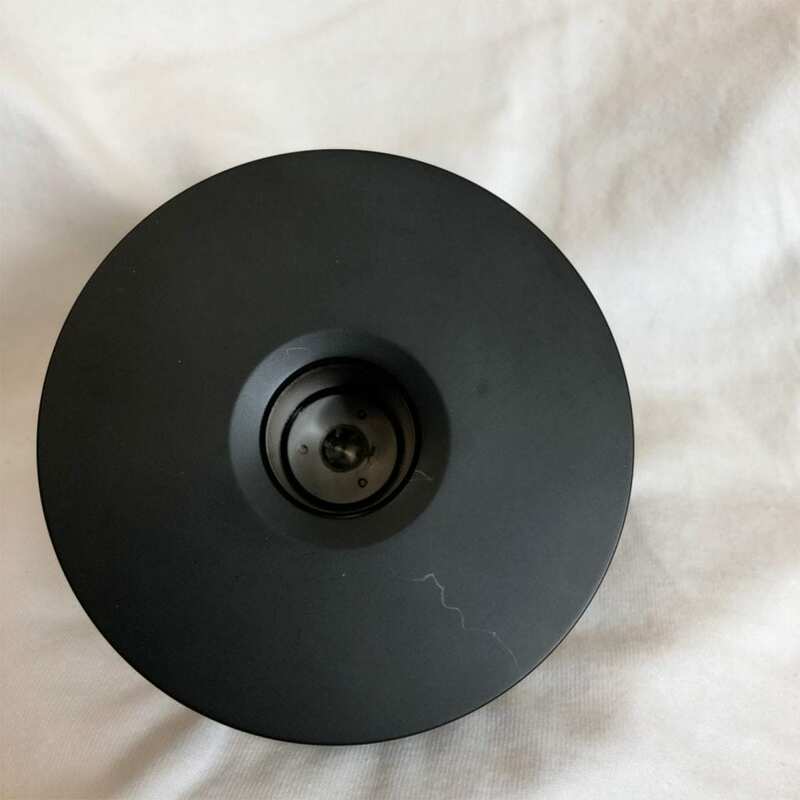 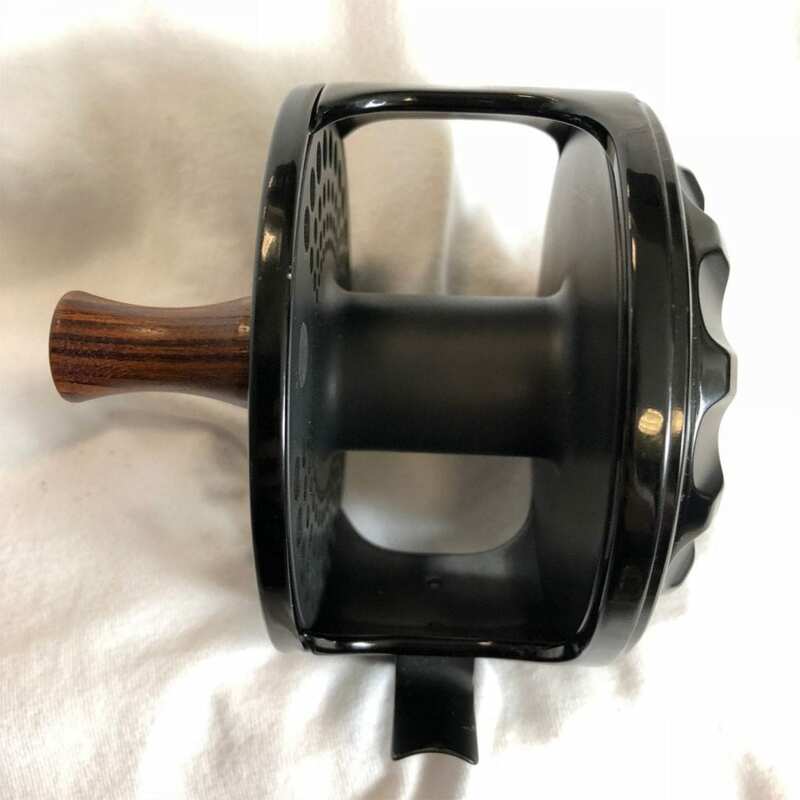 The reel is used, and has a few small marks on the frame and spool edges. 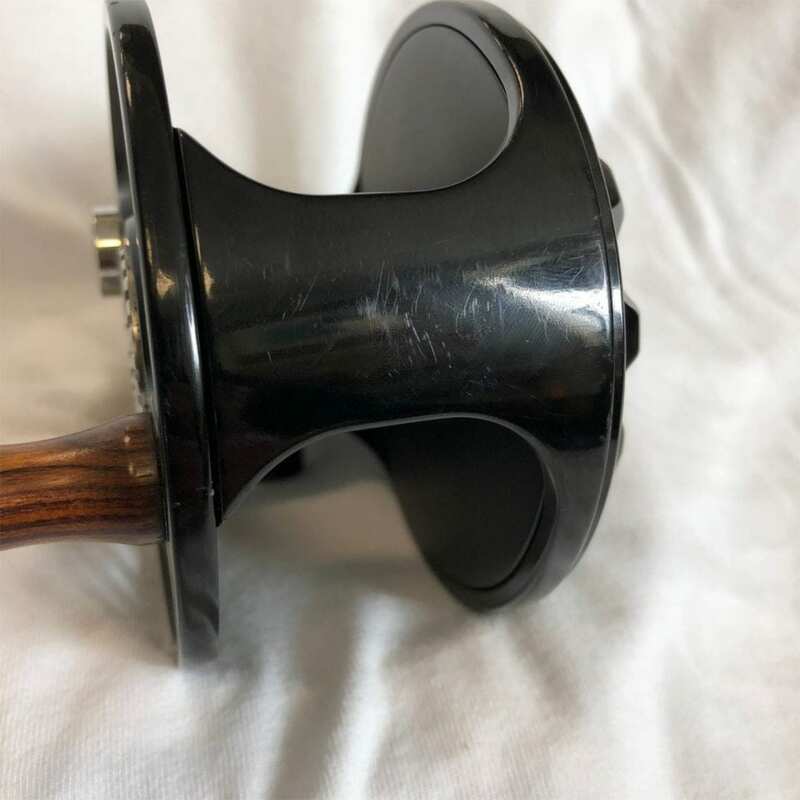 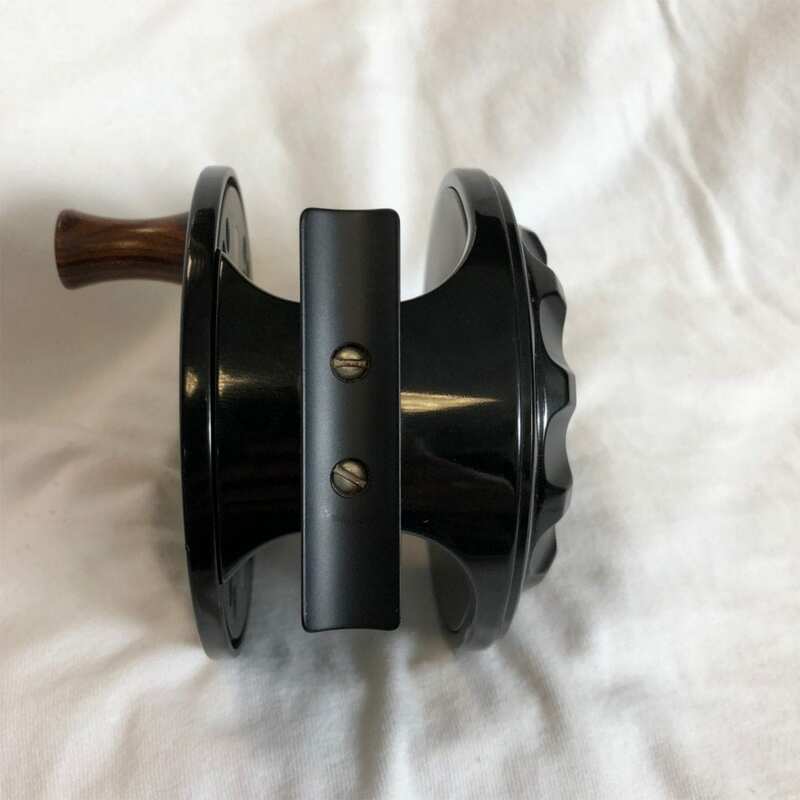 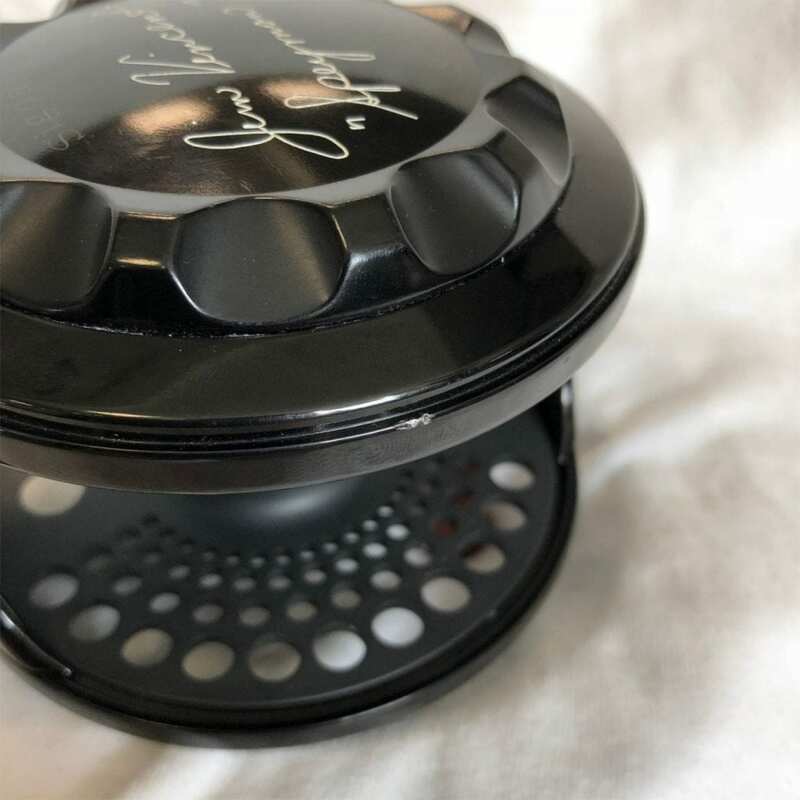 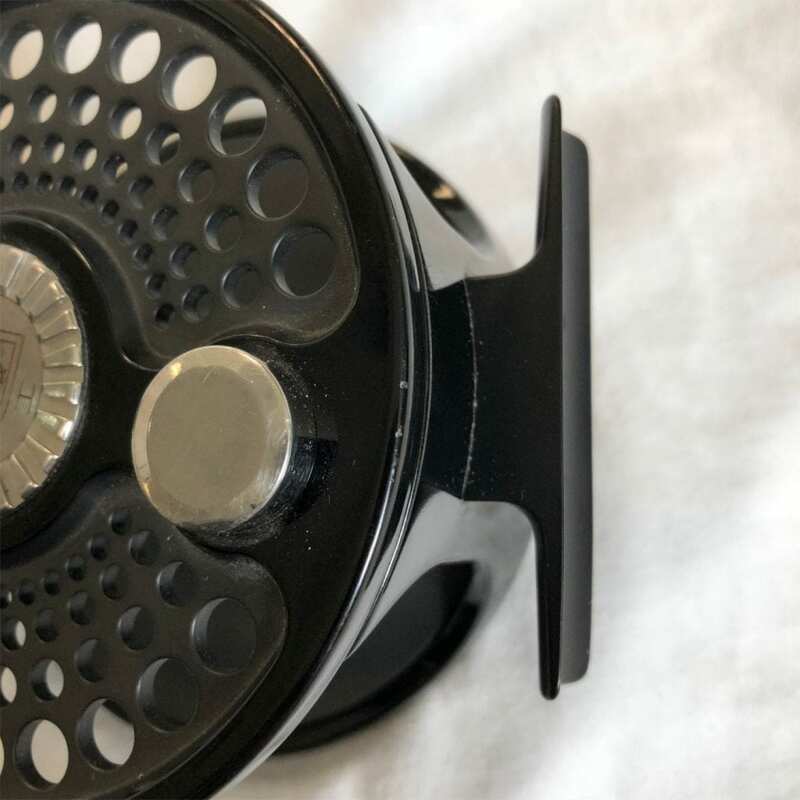 Interestingly, while the drag is cork this particular reel puts out more drag through its range than any other 8500 series with a cork drag that we’ve ever seen, a neat thing if a buyer decided to put this reel to use. 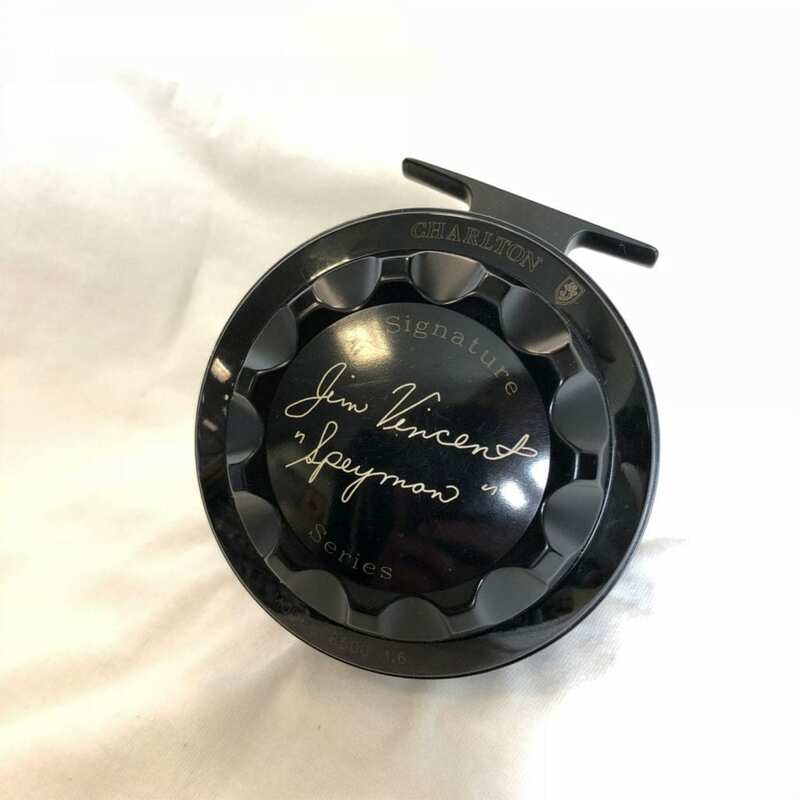 This is a piece of Spey fishing history, and the only one of its kind.